May we introduce ‘Blanche’ a  3 year old Labrador cross. Blanche can be a little shy on her first meet but once she gains your trust is an amazing girl. 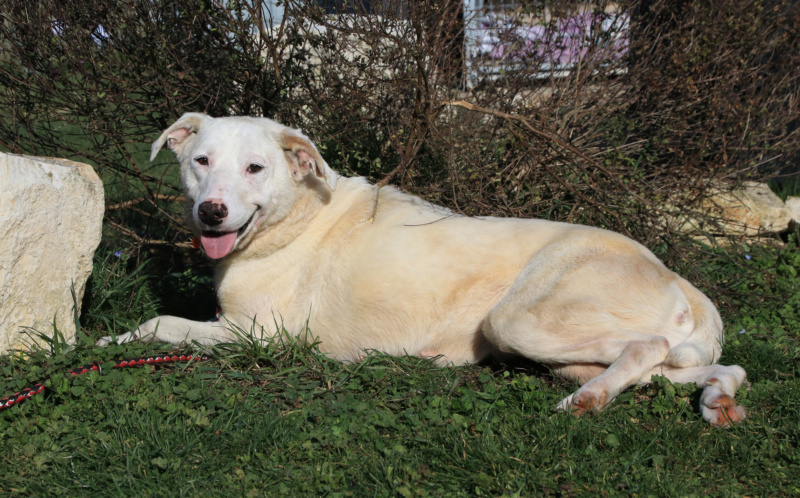 Blanche loves other animals including chickens and rabbits and she is house-trained  Could you be the family Blanche is waiting for? The family who will give her love, be patient with her and see her flourish to become your best friend? If the answers yes, Blanche would love to meet you. She is currently between MIREBEAU 86 and THOUARS 79. Blanche is vaccinated with passport rabies, sterilized, dewormed, treated anti fleas ticks. Contact details: asso.orfee@laposte.net  or tel 09 77 48 71 43.